Sustainable Brand Index™ B2C is a brand study on sustainability within the business-to-consumer market in Denmark. The study is based on research among Danish consumers and shows how brands are perceived within environmental and social responsibility. Discover the official ranking and download the official report for more sustainability insights into industries, stakeholders and brands. 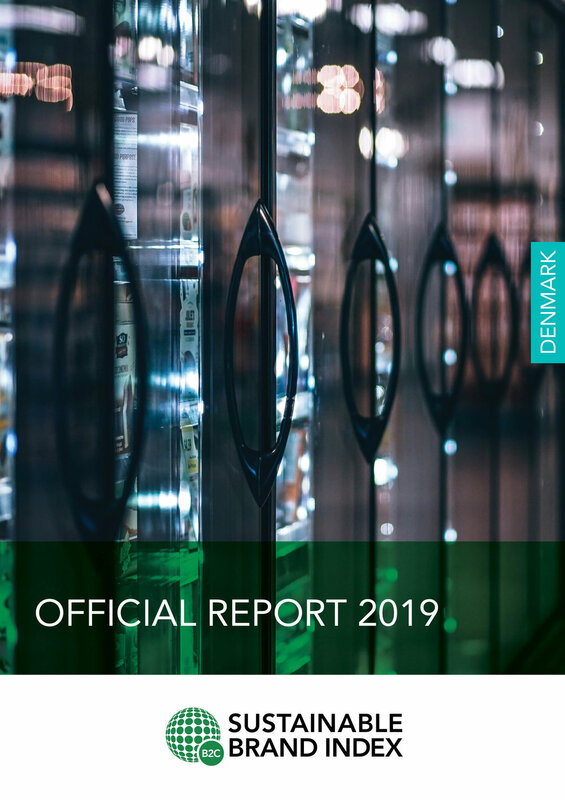 The official report shows the complete ranking of Sustainable Brand Index™ 2019 Denmark and contains the overall developments within sustainability on the Danish B2C-market. The supermarket cooperative, Coop, is the largest retailer of consumer goods in Denmark, owned by more than 1.7 million members. For the second time in a row, Coop has been ranked as the most sustainable brand in Denmark according to Danish consumers in 2019. Coop has put sustainability at the core of its identity, which resonates with consumers. Coop is especially leading in environmental responsibility, with focus areas like organic products, animal welfare, food waste and providing healthier alternatives. of Danish Consumers Are Willing To Pay 10% More For A Sustainable Alternative. of Danes are optimists and believe that we can solve the climate crisis. Around half of the Danish consumers are convinced reducing consumption is most important in solving the climate crisis and that this responsibility lays with the individual.